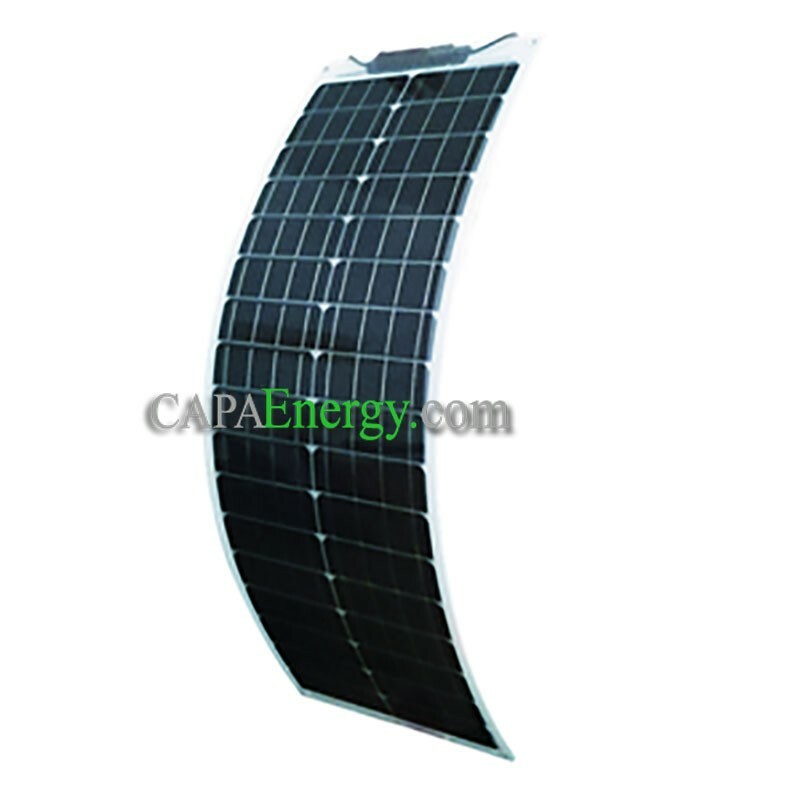 Solar panel 50W 12V Monocristalin flexible, are suitable for marine, camping or nomadic use. 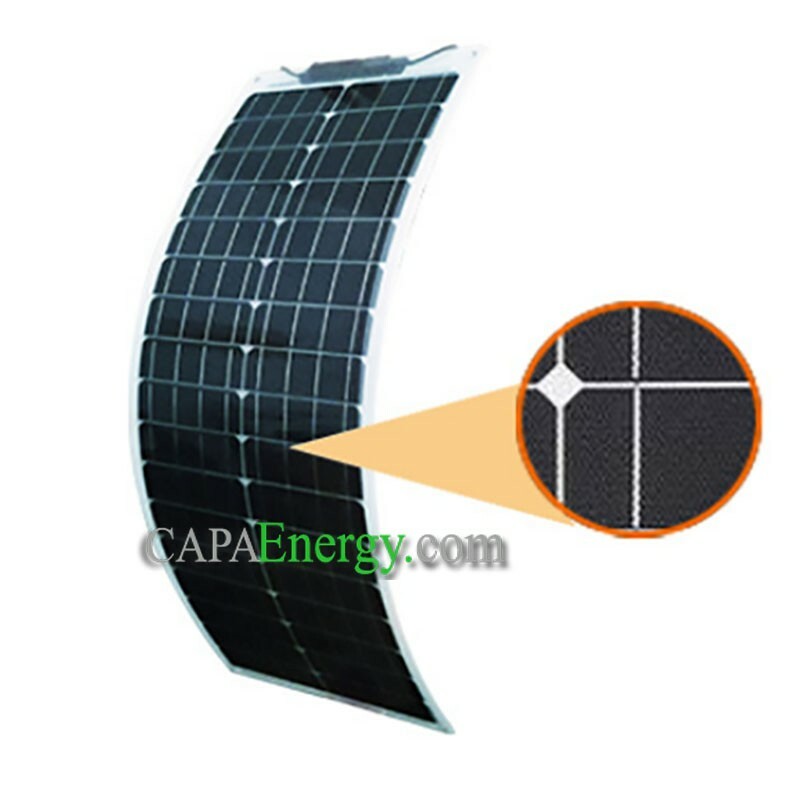 Our semi-flexible solar panels are made of a special aluminum-plastic composite. 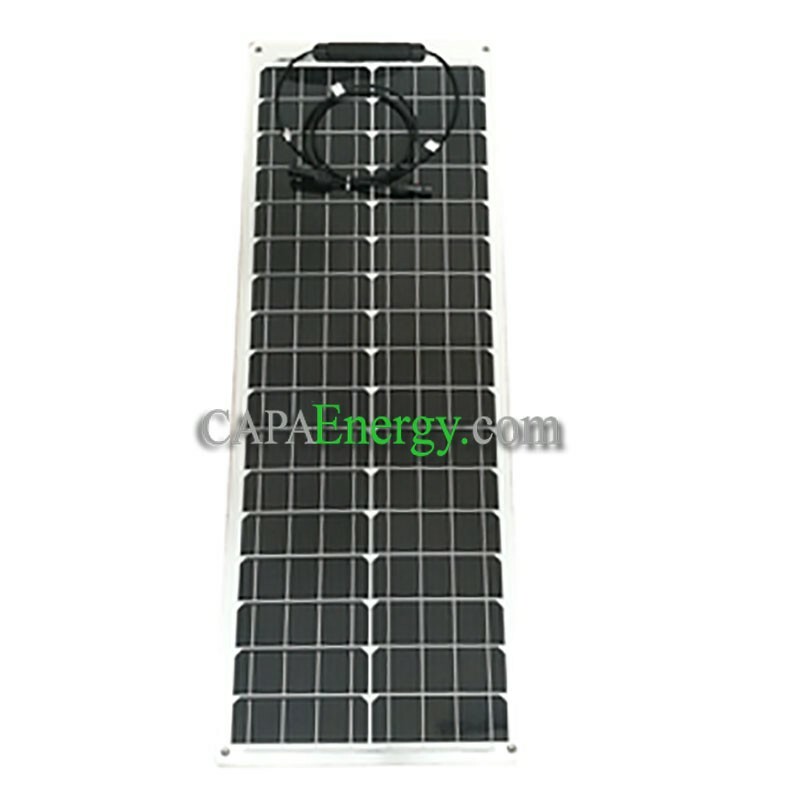 The aluminum core of the base plate is 0.8 mm thick and is plastic coated to give the entire module greater stability without reducing flexibility. This method of production actively prevents the formation of microcracks on sensitive solar cells, as is the case with standard construction methods in case of accidental short-term overshoot of the maximum radius of curvature. Since motorhomes run at very high speeds, the reinforced construction prevents the module from vibrating due to the strong wind. .
By choosing the areas on the roof, there are no limits. For full-surface bonding, the modules can be handled with soft rubber soles. Thanks to the front-mounted junction box, the modules can be glued on their entire surface on almost any surface. 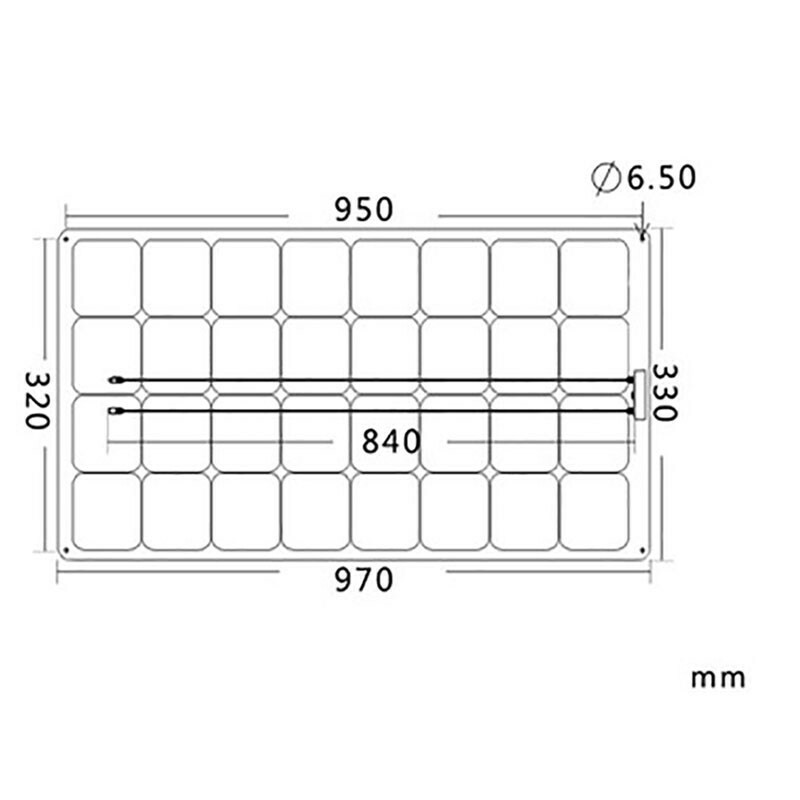 Thanks to the junction diodes integrated in the junction box, the module can continue to produce electricity even in the case of shade or low light. 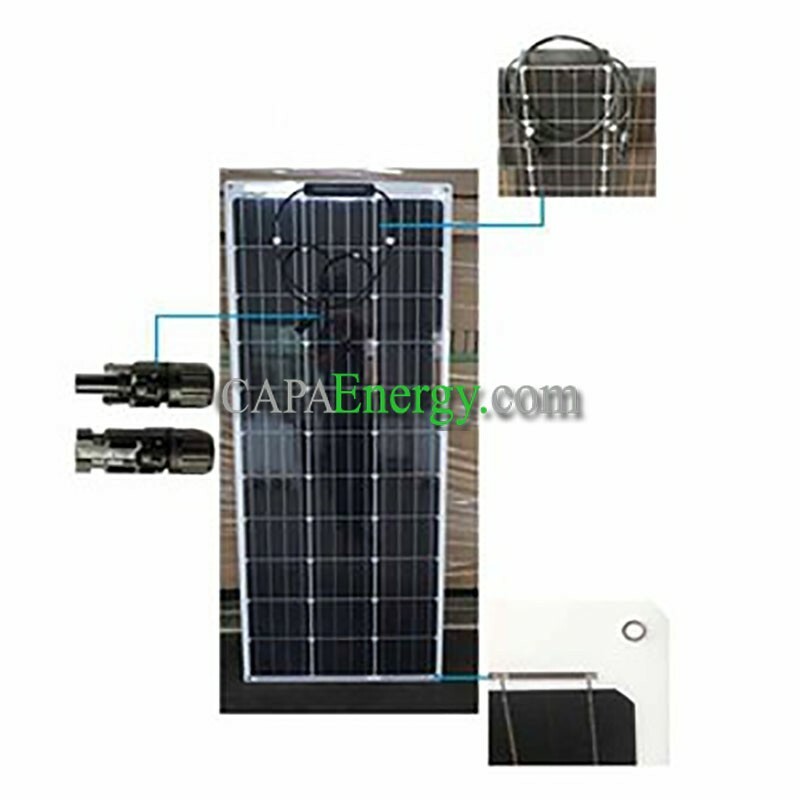 The installation is very simple: with a special adhesive, the modules are glued quickly and easily. There are very few limits to the choice of surfaces, because it is even possible to walk on the modules when they are glued on the whole surface. Unused areas will now be usable. Another advantage is the low weight of the modules and the low aerodynamic disadvantages and the low wind noise as in the normal modules. Voltage Max (Vmpp) 17.2 V.
The panel adapts perfectly to your boat or vehicle.